A recent article by Harvey Mackay (the Swim with Sharks guy) touted the use of brainstorming. It's a tool in use by almost every organization to explore possible causes and possible solutions to a business problem...or generate ways to capture an opportunity. As a method, it has a few rules: no criticism of an idea; only questions to clarify the point being made; everyone should contribute...and so on. However, brainstorming has been debunked as being very useful for a variety of reasons: social loafing; social apprehension, especially for those who aren't subject matter experts; and idea loss. Undaunted, Mackay plunders into the deep end and adds some of his favorite techniques like swapping problems, forming a dream team, keeping an open mind and looking for bad ideas. Unfortunately, Mackay's example of a tricky problem solved by a team: ice on utility poles and lines. 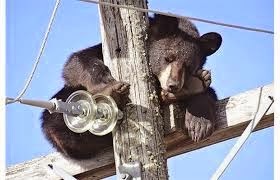 As they were 'brainstorming', one person mentioned an incident--a bear climbing a pole after him--that caused another person to humorously suggest a solution onto which a few other people modified the suggestion into a workable solution. This example however violated many of the rules of brainstorming. It's really an example of synergy where people are working together to create a solution. If they had followed brainstorming's methodology, the team wouldn't have gotten to working out a solution till they had voted on all of the suggestions, including the humorous one...and chances are the team would have ignored the suggestion and never gotten to the solution. It wouldn't have been voted on nor pursued with any creative means.